Hongos Liquenícolas del Sur de Sudamérica, Especialmente de Isla Navarino (Chile) presents a detailed and illustrated (many high quality microcraphs and drawings) study of lichenicolous fungi collected in Isla Navarino (S Chile) and surroundings has resulted in 696 parasited lichen samples, representing 240 taxa of lichenicolous fungi. 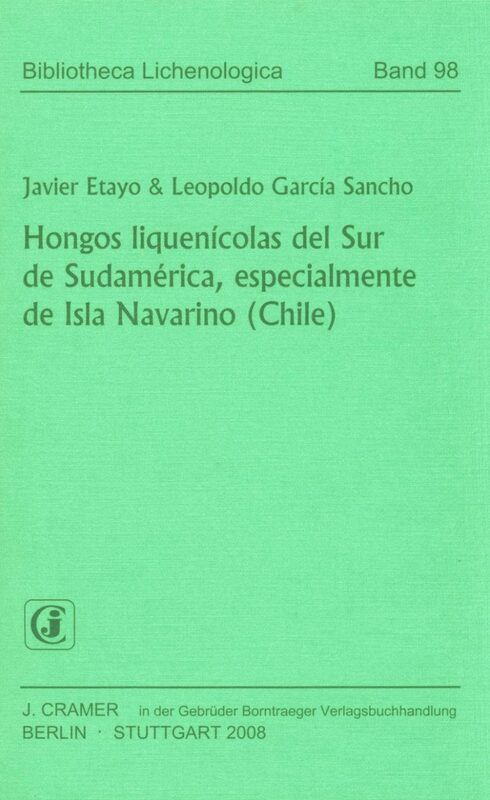 In Hongos Liquenícolas del Sur de Sudamérica, Especialmente de Isla Navarino (Chile) 189 species are reported. Six new genera are described: Atronectria gen. nov., similar to Pronectria but with brown, K+ blackish green ascomata; Macrographa gen. nov., with large ascomata and three septate spores of unknown affinities; Pseudostigmidium gen. nov., related to Stigmidium, but generally with I+ red hymenium and 3-septate spores, with five species living on Pseudocyphellaria and Nephroma; Sarcoexcipula gen. nov. of thick and complex perithecial wall and large and septate ascospores; Umbilithecium gen. nov., Arthonia similar genus with diferent hymenial structure and simples spores and Umushamyces gen. nov. similar in habitus to Arthonia but with Biatora or Bacidia-type asci. "According to the 9th edition of the Dictionary of Fungi (2001) about 300 genera and 1000 species of lichenicolous fungi were recognized at that time. Unfortunately the 10th edition (2008) only repeats these figures which have to be higher if the basic estimation is correct. The difficulties with updating these figures become very clear with publications like this new volume in the Bibliotheca Lichenologica series. From a comparably small study area, the authors found 696 parasitized lichen samples, representing 240 taxa of lichenicolous fungi. In the present volume, 189 species of them are reported, 60 of which are described as new to science. Comparable figures are available also from a previous study by Javier Etayo in Colombia (Bibliotheca Lichenologica 84, 2002). The field work for the present study was undertaken during January and February 2005 in southern Chile and Argentina, but mainly on the Island of Navarino (Chile). 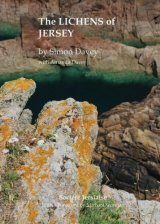 After an introduction, the descriptions of all the new taxa and a list of other records (all of which, needless to say, are new to the area) fill the main part of the book. All the new taxa are illustrated by drawings and/or photographs. Six new genera are proposed here: Atronectria Etayo, Macrographa Etayo, Pseudostigmidium Etayo, Sarcoexcipula Etayo, Umbilithecium Etayo and Umushamyces Etayo. Furthermore 7 new combinations are made and the genus Kalaallia is proposed as a synonym of Opegrapha. The new species are described in the genera Arthonia (3), Bachmanniomyces, Capronia (2), Carbonea, Chalara, Corticifraga, Corticiruptor, Dactylospora, Diederimyces, Endococcus (4), Leptosphaeria, Lichenochora, Lichenopeltella, Merismatium, Microsphaeropsis, Minutoexcipula, Muellerella, Nanostictis, Nectriopsis, Neobarya, Niesslia, Odontotrema, Phaeosporobolus, Phoma, Plectocarpon, Polycoccum, Pronectria (3), Protothelenella, Pseudostigmidium (4), Rhagadostoma, Sclerococcum, Scoliciosporum, Skyttea, Sphaerellothecium, Stigmidium (2), Taeniolella, Toninia, Trichonectria, Unguiculariopsis (2), Xenonectriella (3) and the remaining in the 5 new genera. 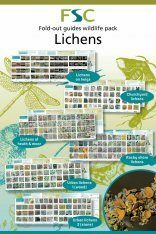 In the introduction the authors discuss some problems of co-evolution of lichens and lichenicolous fungi, and especially the various hypotheses for the particular species-richness of Peltigerales. For the single host Nephroma antarcticum they report 26 lichenicolous fungi, 11 of which are newly described. Taking into account the entire distribution range of the host, they estimate over 30 lichenicolous fungi for this unique host. 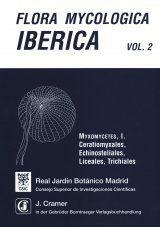 This volume provides a major step forward for the study of lichenicolous fungi in general and for the non-tropical parts of the southern hemisphere in particular. The huge number of taxonomic novelties makes it a must for all serious taxonomists of lichenicolous fungi." 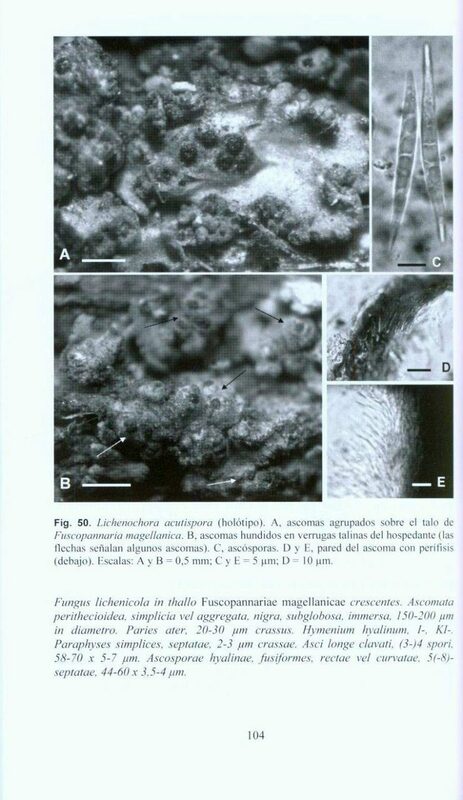 "This is the second major contribution to the subject of lichenicolous fungi of South America by the senior author, and the present work surpasses by far his previous one [Etayo (2002); see David (2004)] in Colombia – in number of species, if not in quality – with 189 taxa treated here, versus the 104 species included in the latter work. The authors also indicate in the summary that they had collected even more species (240 taxa) than those included in the work, which somewhat contradicts Etayo’s (2002) expectation that the group is highly diverse in tropical zones. 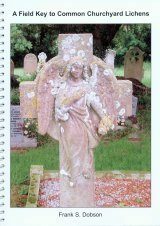 The contents of this monograph cover two main areas of research in the group: ‘floristics’ (including biogeographical and ecological information) and taxonomy. The extensive (20 pp.) 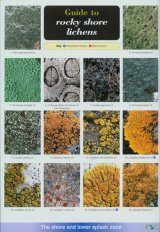 introduction, which discusses the plant and lichen vegetation of the area and the relationships and specificity between the fungi and their lichen hosts, is also followed up in the final six pages of the book with a complete list of the lichens and their associated fungi. Not surprisingly, it is again the lichens with cyanobacteria as photobionts (e.g. Nephroma and Pseudocyphellaria) that host the highest number of lichenicolous fungi in the area. Interestingly, and despite that some of the hosts are known from other areas in the southern hemisphere, the number of taxonomic novelties is also high. The catalogue, or taxonomic part of the monograph, is the bulk of the publication, extending to well over 200 pp. Here the 189 taxa are listed alphabetically according to genera, and each species entry consists of a description (brief if the taxon is known from elsewhere), with locality and chorological information, and a few keys. 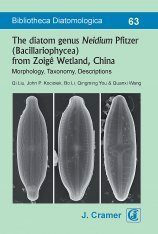 There are 60 taxonomic novelties in the text and for those, in addition to the Latin description, the authors supply a detailed diagnosis and high quality illustrations (both photos and ink drawings). Of the taxonomic novelties, the following six are also new genera: Atronectria, Macrographa, Pseudostigmidium, Sarcoexcipula, Umbilithecium and Umushamyces; all but Pseudostigmidium are monotypic. Nevertheless, the selection of Pseudostigmidium nephromiarium (Linds.) Etayo [as ‘(Speg.) Etayo’, p. 193, cf. 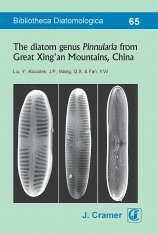 p. 204] as the type of that genus is unfortunate, since it is based on the illegitimate name Microthelia nephromiaria Linds. (1869). 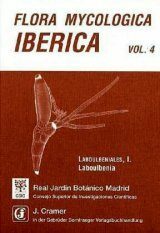 According to Hawksworth (1985), who discussed all the species epithets included in the genus Microthelia, Lindsay considered M. nephromiaria to be conspecific with Lecidea alectoriae Linds. (1859), merging them both in a single type. Thus, the combination M. nephromiaria becomes superfluous (Art. 52.1) as, according to Art. 7.5, it is typified by the type of Lecidea alectoriae. Hawksworth (loc. cit.) 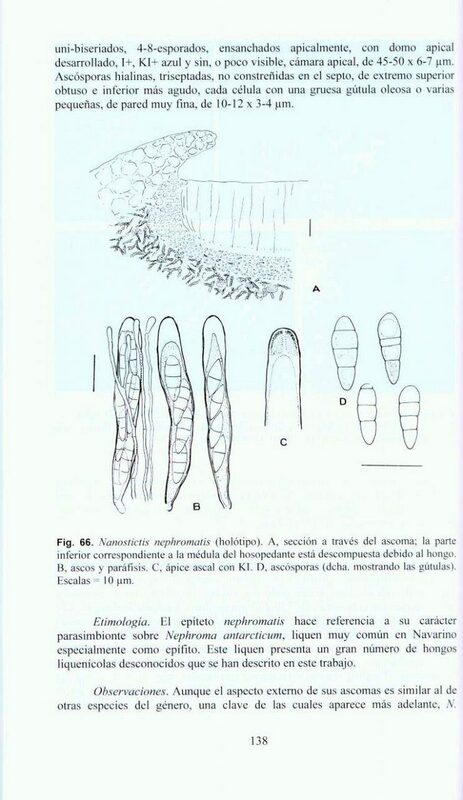 mentioned briefly the latter species as having hyaline ascospores and therefore being unrelated to the other species treated in his monograph, and of uncertain generic position. However, Etayo combines the latter [cited as ‘Microthelia’] into Stigmidium [p. 236], despite being aware that Lindsay (1869) ‘[retracted from the binomial, … for the presence of perithecia’], yet goes on to claim, ‘[I synonymise Microthelia alectoriae with M. nephromiaria … see Pseudostigmidium nephromiarium …]’. Sadly, this lapse could have been avoided easily had the junior author and David Hawksworth, as colleagues in the same department, discussed the matter further. This major contribution from Hawksworth is not even listed in their extensive bibliography. 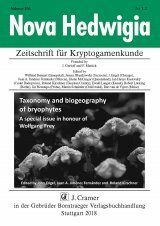 In addition to the two unfortunate nomenclatural novelties already discussed, five others are introduced, including the synonymy of the monotypic genus Kalaallia Alstrup & D. Hawksw. 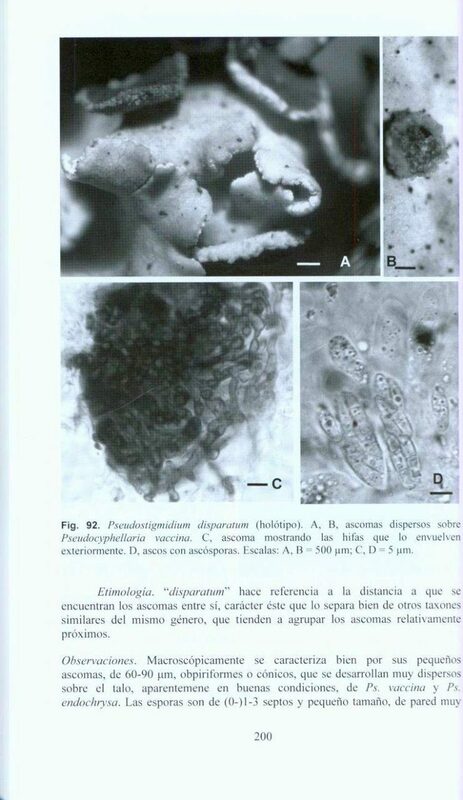 (1990) with Opegrapha; Kalaallia reactiva is thus combined into Opegrapha, despite the presence of perithecia. A minor disappointment is the basic English abstract, which I think the authors could have extended for those not understanding Spanish; failing that, the English-speaking editors should have checked it for correctness. 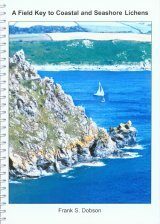 However, and despite the above misgivings, the work has tremendous scope not only for those studying lichenised and non-lichenised fungi from South America, but for those based in temperate regions of the southern – and even northern – hemispheres. The authors, and the editors of the series, are to be congratulated for the quality of the illustrations and the formatting of the text." "South America is still relatively unexplored for lichens and lichenicolous fungi. It has become in recent years more and more attractive to lichenologists desiring to discover new species, explore the biodiversity of species in still well preserved areas of our natural heritage, or study climate change using lichens to elucidate what is happening in the Southern Hemisphere. This is especially true for European lichenologists who are saturated with well-explored European areas. Lichenicolous fungi are highly under-collected in this continent. The potential richness of lichenicolous fungi in South America is very high, and many new species and genera could be expected to be described in future. The current number of described lichenicolous fungi in the world is about 1700 species, but based on the rapidly increasing number described over recent decades, we can easy expect 3000 species to be reached in the near future. Therefore, it is not surprising that the lichenicolous fungi of this largely unexplored continent attracted Spanish lichenologist Javier Etayo. With every one of Etayo’s publications on lichenicolous fungi from South America, he substantially increases the number of known species in the world. 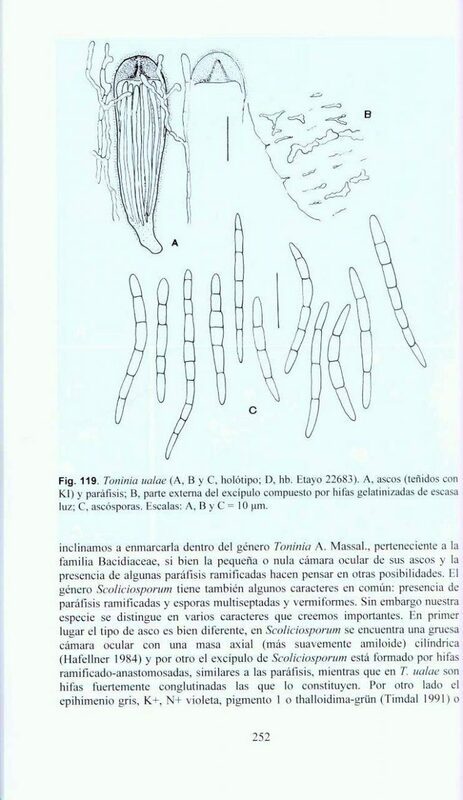 In his monograph on lichenicolous fungi of Colombia (Bibliotheca Lichenologica 84: 1-154, 2002; see Mycotaxon 87: 500-501, 2003), he described 52 species of the 104 species identified (every second one was new for science!) and even noted that 47 further taxa could not be described because of insufficient material or being in poor condition. It is not surprising that the current monograph published with co-author Leopoldo García Sancho on lichenicolous fungi mainly from Chile increases the number of new taxa known from South America even further. 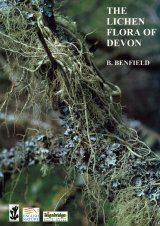 All specialists studying lichenicolous fungi will want to have this new book with such a comprehensive amount of information in his or her bookcase as much as they wanted to have his former book. An international group of lichenologists from Spain and Denmark undertook two expeditions (in 2005 and 2008) to southern Chile and Argentina. They explored 60 localities, most of them in the Isla Navarino in the Beagle Channel. 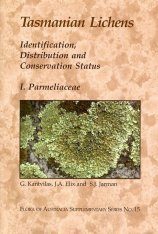 The present study of lichenicolous fungi is based on 696 samples representing 240 species, of which 189 are published in this book and of which six genera and 60 species are described as a new to science. Still, a further 51 species remain as undescribed! In 1999, Galloway & Quilhot (Gayana Botanica 55: 111-185, 1999 [“1998”]) published a checklist of Chilean lichen-forming and lichenicolous fungi in which they reported only 32 lichenicolous fungi, based mainly on the collections of Spegazzini, Dodge, and Wedin. The new species are described in detail and are well documented by 123 (of 132) excellent drawings and photographs, which we have come to expect as typical for Etayo. 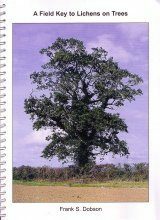 The introductory chapters are well written, and introduce the abiotic factors that influence the area as well as biotic factors (mainly vegetation types). Separate chapters discuss the hosts, co-evolution, and host specificity of lichenicolous fungi. 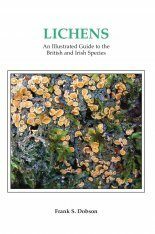 A short note promises that a full account of the lichen biota of the study area will be published too. Six new genera are described: Atronectria, similar to Pronectria but with brown, K+ blackish green ascomata; Macrographa, with large ascomata and three septate spores of unknown affinities; Pseudostigmidium, related to Stigmidium, but generally with an I+ red hymenium and 3-septate spores, with five species living on Pseudocyphellaria and Nephroma; Sarcoexcipula, with a thick and complex perithecial wall and large and septate ascospores; Umbilithecium, an Arthonia-like genus but with a different hymenial structure and simples spores; and Umushamyces, similar in habit to Arthonia, but with Biatora- or Bacidia-type asci. 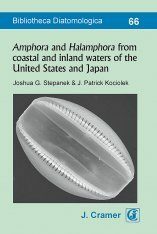 Sixty new species are described in Arthonia, Atronectria, Bachmanniomyces, Capronia, Carbonea, Chalara, Corticifraga, Corticiruptor, Dactylospora, Diederimyces, Endococcus, Leptosphaeria, Lichenochora, Lichenopeltella, Macrographa, Merismatium, Microsphaeropsis, Minutoexcipula, Muellerella, Nanostictis, Nectriopsis, Neobarya, Niesslia, Odontotrema, Phaeosporobolus,Phoma, Plectocarpon, Polycoccum, Pronectria, Protothelenella, Pseudostigmidium, Rhagadostoma, Sarcoexcipula, Sclerococcum, Scoliciosporum, Skyttea, Sphaerellothecium, Stigmidium, Taeniolella, Toninia, Trichonectria, Umbilithecium, Umushamyces, Unguiculariopsis, and Xenonectriella. In addition seven new combinations are made and two new synonymies proposed, including placing the generic name Kalaallia as a new synonym of Opegrapha. 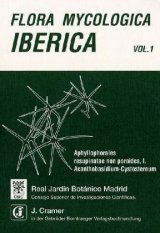 A key to species is provided for several genera covering species occurring in the study area: Capronia, Corticifraga, Dactylospora, Endococcus, Nanostictis, Neobarya, Niesslia, Phaeosporobolus, Phoma, Pronectria, and Pseudostigmidium. Unfortunately, overall keys to genera treated and the large genus Arthonia are not provided. An alphabetical list of lichen hosts and their fungi concludes the work, together with extensive literature citations, which will be much appreciated. Pseudocyphellaria and Nephroma antarcticum emerge as hosts that support really surprising numbers of lichenicolous fungi! Etayo’s work deserves the highest evaluation. 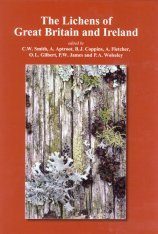 Lichenologists working in the Southern Hemisphere in particular will find this book very important for their own future studies of lichenicolous fungi. 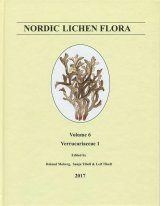 I am sure this work will encourage the interest of many new lichenologists and students in the discovery of as yet hidden additional lichenicolous fungi."